Dogs may be man’s best friend, but they can be your landscaping’s worst enemy. It can be infuriating to spend time and money creating a beautiful landscape or garden and then come outside and find your dog has made craters in it. 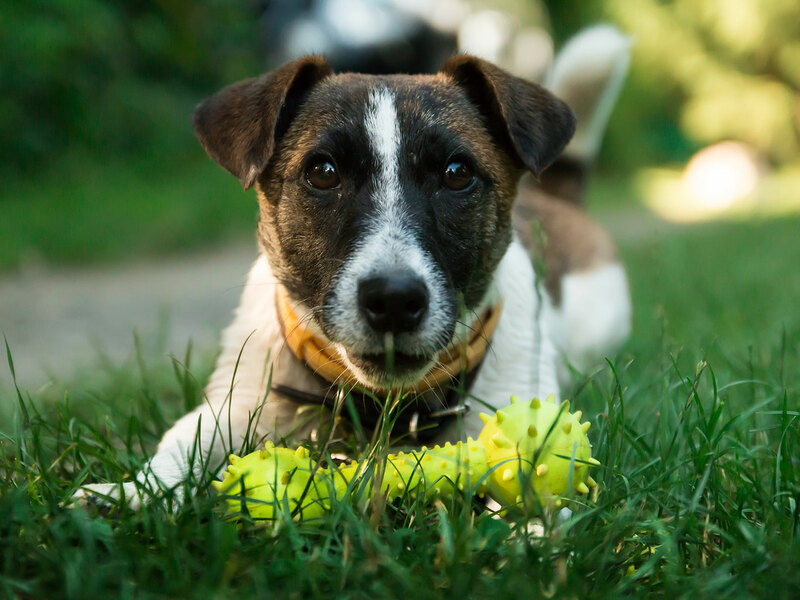 Luckily, there are ways to accommodate both your dog and a beautiful yard. Create a designated digging space. Let your dog be a dog by giving him a section of the yard where he can dig to his heart’s content. Put sand or soft soil here and hide toys and treats so he will know this is his place to play. Make off-limits areas uncomfortable. If you’re using rock landscaping, put larger, sharper rocks in areas you want him to stay away from. If he has a choice between putting his pads on very small-grained gravel or sand versus bigger, sharper-edged rocks, he’ll likely choose to stay away from the hard stuff. Let him patrol the perimeter. Dogs are territorial and they’ll often want to keep a close watch on who or what is walking past outside your fence. If this sounds like your dog, don’t even try planting nice things near the fence. Instead, create a sturdy walkway with materials like flagstone or small-size gravel that he can pad around without trampling plants. Use pots and raised planters. Instead of planting directly in the ground, consider using large, decorative pots. They can add visual interest as well as keeping your plants safe. A raised garden box can also protect your plants if it’s high enough off the ground to discourage your dog. Fence off the garden. If you want to have a ground-level garden, put up a simple chicken wire fence around the garden beds. Give him plenty of exercise. Dogs sometimes dig because they’re bored. Try to spend at least 30 minutes walking or playing with him each day. You can also keep him entertained by hiding treats in a Kong toy. Keep him cool. Dogs will often dig down in search of a cooler spot to lie. Make sure he has adequate shelter from the sun and bring him inside when it’s too hot. Keep his water bowl full. Some dogs dig in search of water. Be sure to always keep fresh water available for him. If you need help with your landscaping rock and topsoil needs, we’re happy to help. MDI Rock supplies a wide range of products for all sorts of uses at competitive prices. If you’re not sure what kind of rock you need or how much, we’re happy to give you our expert advice based on 30 years of experience. We carry over 50 colors of decorative groundcover as well as rip rap, flagstone, topsoil, sand, gravel, and a huge selection of boulders.